Snickers is a 2007, never-raced thoroughbred. 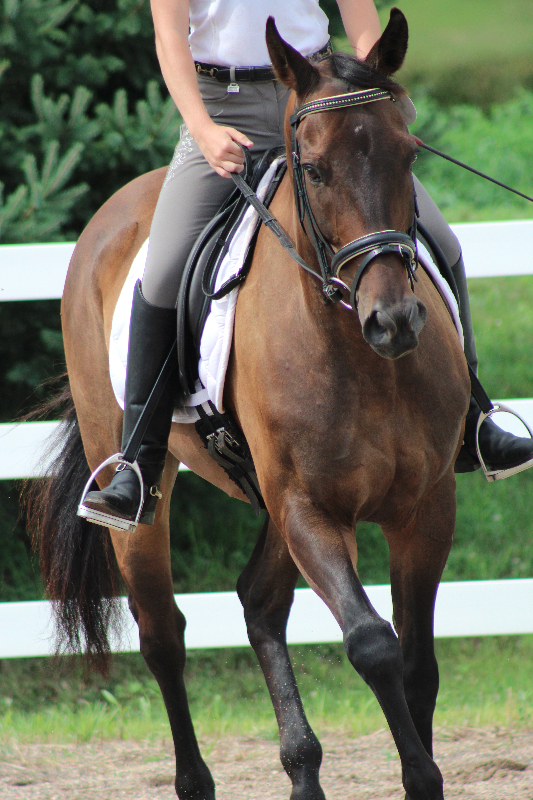 Started by a reiner, he was purchased when he was 4, just turning 5. 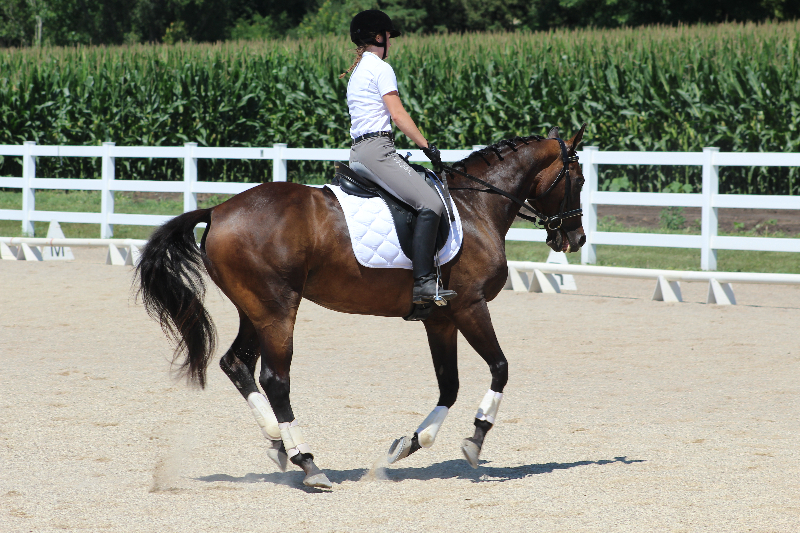 Snickers’ career since has been focused on dressage and a little jumping. 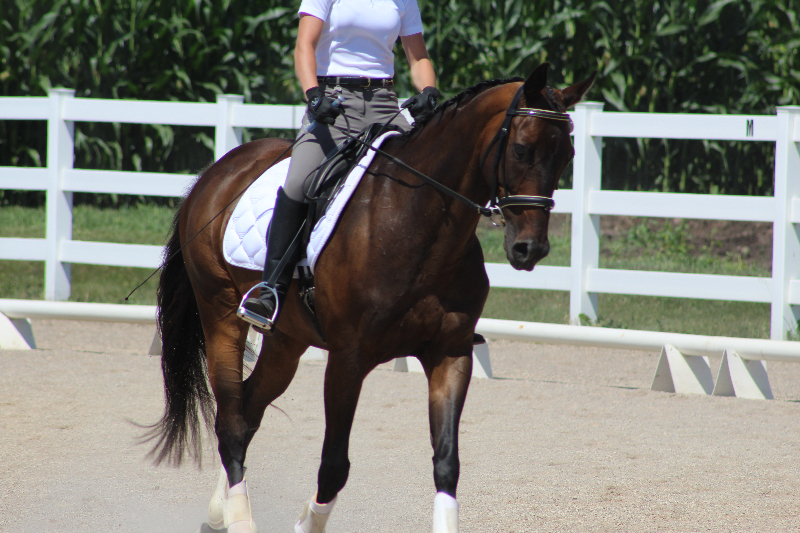 He is a solid Training Level horse, working into First Level and schooling some Second Level movements. The summer of 2016 he was taken to a few shows at Carriage House Farm and Washington County fairgrounds showing through Training Level and First 1. He was very successful and quiet at the shows and has been equally well-behaved on trail rides, even in water and over fallen down trees, and other places off the property. He has become a fairly willing jumper over small and large crossrails and has jumped up to 2ft. Snickers is typically a quiet tempered, polite and an easy-to-be-around horse. His owner is in college and is unfortunately unable to spend as much time with him during the week as he deserves. 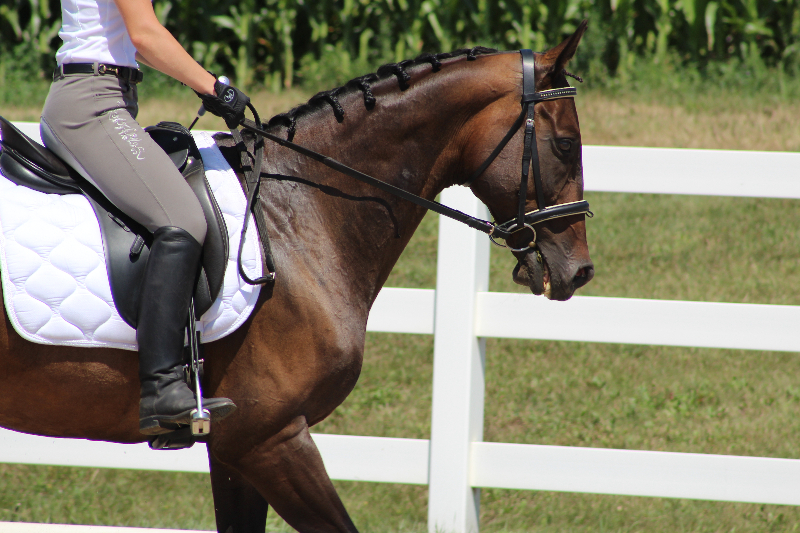 Snickers will require an advanced beginner or intermediate rider that is confident and reassuring to the horse and has had some experience around horses. 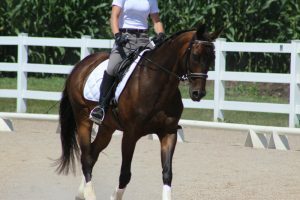 It would be preferred that whoever is to lease him take lessons with Equitation Station owner/trainer Kathy Mueller or Wynne Hetherington (Snickers’ owner). Please contact Wynne Hetherington at 651-315-4637 or wynnehetherington@yahoo.com for videos and more information.